Ninet Tayeb, aka Ninet (born October 21, 1983, in Israel) is an Israeli musician, singer-song writer, composer, D.J, and an actress. She is considered to be the most famous person in the Israeli entertainment business (a title she's held for almost a decade now), and was labeled "one of the hottest new artists to break into the United States." Ninet has released four successful albums in Israel (one of them in English), and has twice won Israel's Favorite Act at the MTV Europe Music Awards. She has also worked with producer Mike Crossey (who produced her third album, Sympathetic Nervous System), and artists such as Steven Wilson (Ninet performs on his solo albums,Hand. Cannot. Erase. and 4 ½), Gary Lucas, Cyndi Lauper, The Jesus and Mary Chain, and The Dead Daisies. Alongside her musical career, Ninet enjoyed a successful acting career, performing both in movies and the theatre. She currently lives in Tel Aviv and is married to music producer and guitarist Yossi Mizrachi. After achieving almost everything that her local scene can offer, Ninet has set her sights on the international stage, looking to impact her music to larger audiences worldwide. Nowadays, with multiple projects under her belt, she is "poised to have a major breakthrough in the U.S with her American debut album coming out the latter part of 2016." Ninet is expected to begin her first high-profile international tour in the U.S, Canada (Toronto & Montreal), and Europe, at early 2016. The tour will feature songs from her upcoming release. It will be her 5th album, and the first to be released and promoted in the U.S. As part of her tour, Ninet has already been selected to perform at SXSWin March. She is also planned to tour as a featured guest vocalist on Steven Wilson's tour, whom after their successful collaborations in the past, invited her to join him for several performances. The upcoming 2016 tour is the result of Ninet's recent and short visit to the U.S in 2015, which created an intensive buzz and high demand for this "infectious female artist". During her time in the U.S, Ninet performed several concerts in New York City, which were praised by the critics. One of them, who attended one of her shows, proudly stated that "having seen Ninet perform … it’s safe to say that the entire audience was fixated and almost hypnotized by her presence." Others claimed that "her bold renditions of songs like 'Crazy' and her original releases have showcased the range in which she approaches music and thus identifies with at least some part of all of us." In preparation for her upcoming tour, Ninet released two new singles from her forthcoming album – "Paper Parachute" and "Child". The two "promise an album worth waiting for", and were ultimately declared as ones in which Ninet's "haunting vocals are backed by clever production work and energy fulfilling beats". Ninet was born and raised in Kiryat Gat, which is located in southern Israel. She is the third in line among five siblings. She was nicknamed "Nina" at a very young age by her family and friends. Ninet was brought up around music, as performing in small events as a teenager was a routine for her. She was mainly influenced by artists such as Pink Floyd, Nirvana, Pearl Jam, and Oasis. Although she was still anonymous in national terms, Ninet was locally known and was expected to pursue a successful career thanks to her unique voice and personality. Her breakthrough to the Israeli consciousness was in 2003 due to her "Israeli Idol" (Kokhav Nolad) first prize winning – something which Ninet has tried to distance herself from ever since. Fame was immediate for 20 years old Ninet, who found herself collaborating and performing with Israel's most popular artists. She became a known figure in Israel and was the subject of dozens of articles and stories. Ninet released her debut album, "Barefoot" (Yechefa, Hebrew: יחפה) on September 7, 2006. It was certified Platinum in less than 24 hours, having charted five #1 singles on national radio. Barefoot was released by Helicon and was produced and mainly composed and written by the Israeli Rock musician Aviv Geffen. Ninet's acting career took rise as well, as she starred in a successful TV series based on her own life story. The show, "Hashir Shelanu" ("Our Song"), was intended to capitalize on Ninet's unprecedented popularity and lasted for four entire seasons. It still holds the Israeli record for having the largest amount of chapters of all times. Despite her success, things were far from perfect for Ninet. Loyal to her inner truth, she was seeking for a new path, far away from the Israeli mainstream. Ninet wanted to express what she wanted – not what she was expected from. 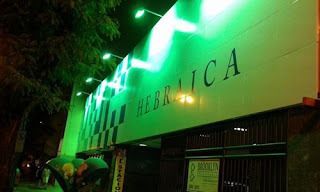 She then decided to neglect the materials who brought her fame and started an internal soul search within the musical inspirations she felt truly connected to, such as Jeff Buckley, P.J. Harvey,Arctic Monkeys, and Jack White. The harsh public reactions, on the other hand, were almost impossible to bare. 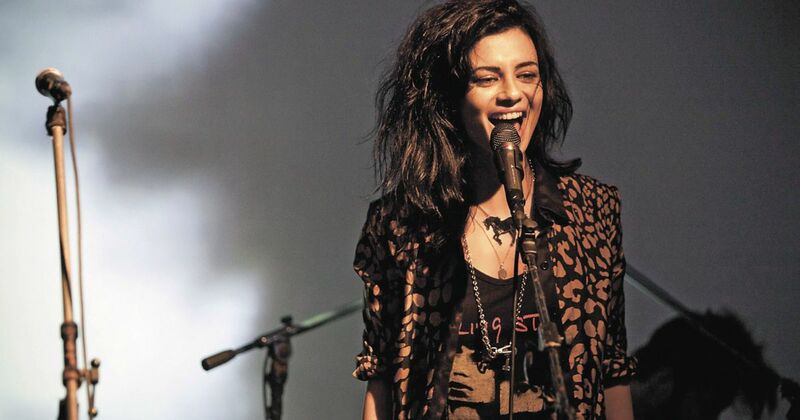 During her musical journey, Ninet was tapped to co-star in what turned out to be an electrifying performance, in her first international major motion film, "The Assassin Next Door” (Kirot). She starred the movie alongside James Bond girl, Olga Kurylenko (Quantum of Solace). Ninet was also nominated in the Israeli Theatre Awards for Best Female Actress of 2010 within the Hebrew version of Spring Awakening. On November 17, 2009, Ninet released her second album, "Communicative", (Comunicativi, Hebrew: קומוניקטיבי). She wrote all the lyrics in the album, composed most of it, and produced the album with Rockfour. Communicative, above all of Ninet's album, is considered by many as the album which represents her musical shift. Its release is widely remembered as a turning point regarding Ninet's public image and musical tendencies, as she was literally thrown objects at during its launch performance. Ninet describes this incident as a professional watershed until this very day. The artist who used to fill out major venues, suddenly found herself performing in front of significantly small amount of audience, sometimes 20 people and less. These devastating reactions, however, motivated Ninet – still the most famous person in the Israeli entertainment business – to find her most authentic expression even more. Step by step, gig by gig, things started to get together, and combined a coherent set of musical profile. The burrow into her musical influences' materials began to bear fruit as Communicative was eventually praised by critics and fans alike, and was considered to be one of the most talked about albums of recent years then. A new type of audience began to show up in her performances, which gradually started to grow and became more frequent. Old fans returned to their "old musical love" as well. As part of her inner journey, and now much more musically ripped, Ninet released her third album, "Sympathetic Nervous System" (SNS), on May 30, 2012. SNS received some overwhelming reviews and is considered one of Ninet's best albums. The album was entirely composed and written by Ninet in English, and was produced by Mike Crossey while being recorded at the Motor Museum Studio in Liverpool. In SNS Ninet continued establishing herself as an indie-rock singer-songwriter, as she won Israel's Favorite Act in MTV Europe Music Awards. Twice. Alongside her musical growth, Ninet started to perform as a D.J in exclusive events and festivals, and is now highly requested in different events in and outside of Israel. On May 3, 2013, Ninet released her fourth album, "All the Animals Knew" ("Kol Ha-Chayot Yad'u", Hebrew: כל החיות ידעו). After the last album was all in English, this time Ninet went back to writing in Hebrew. She wrote and composed all of the songs in the album, except for 2 songs written by Israeli poet, Dori Manor. The album was produced by Yossi Mizrachi (whom Ninet married later on) and Idan Rabinovici, members of Israeli indie-rock band "A Collective". Ninet's career is characterized with interesting and diverse collaborations. Steven Wilson – Wilson hosted Ninet for three tracks in his latest album, "Hand. Cannot. Erase.". He described Ninet as "inspiring"; "a fantastic singer" which has an "amazing voice" and is "very easy to work with". Ninet also performed alongside Wilson in the Royal Albert Hall in September 2015. Gary Lucas – after meeting with Jeff Buckley's guitarist and song writer, Gary Lucas, the latter invited Ninet to record a song which he co-wrote with Buckley but was never recorded. Ninet performed alongside Lucas in a tribute show in memory of Buckley in Paris. Lucas summarized his work with Ninet saying that "Ninet is one of the best singers I've ever worked with. I think she's absolutely incredible, stunning, has a magnificence stage presence, and a terrific energy". Cindy Lauper – Ninet was the opening act for the iconic singer Cindy Lauper in her memorable concert in Israel in 2014, and performed a vocal duet of True Colors with Lauper during that concert. The Jesus and Mary Chain – On October 2012, Ninet was a surprise guest in the Indie legends Jesus and Mary Chain performance in Tel Aviv. The Dead Daisies – In December 2013, Ninet performed with the Australian rock n roll super-group, The Dead Daisies, as part of their tour in Tel Aviv, Israel. Robbie Williams – Ninet was the opening act for Robbie Williams during his 2015 performance in Tel Aviv. 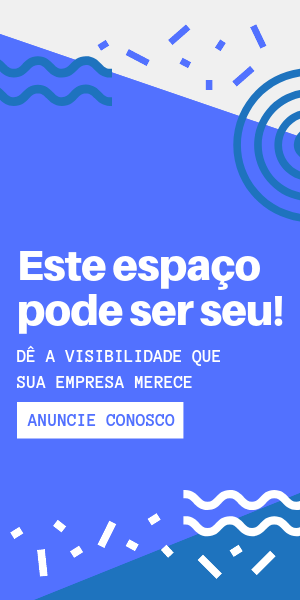 • Sounds and Voices – First Place, 2001. • Kokhav Nolad – First place, 2003. • Golden Screen Awards – won Best Actress in A Daily Drama, 2005. • Pnai Plus Magazine – The Beautiful "Right People" project – First place, 2005. • Shir Nolad – First place, 2006. • The Israeli Music Channel Awards – won Singer Of the Year award, 2007. • Jerusalem Radio – Singer Of The Year, 2007. • People Of The Year – nominated for Person Of The Year In Musics in 2006 and 2009. • Song of The Decade project (Channel 24 and Galgalatz) – Singer of the decade nomination. • MTV Europe Music Awards – Won Israel's favorite act, 2009. • MTV Europe Music Awards – Won Israel's favorite act, 2012. • In 2015, Ninet was hosted in the second album of "Dudu Tasa & The Kuwaitis", where she performed a song in Arabic. "Dudu Tasa & The Kuwaitis" is a special project led by Israeli musician Dudu Tasa, which relives the songs of the old Iraqi sensation, "The Kuwaitis". 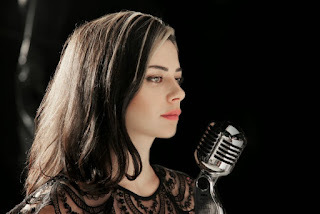 • In 2014, Ninet was hosted in Shlomi Shaban's album "Wakening exercise". • From 2011 and on, Ninet performed and collaborated several times with the Israeli-American Puppeteers band, Red Band. Their most know project is the cover for Gnarls Barkley's world known hit "Crazy". • In 2011, Ninet collaborated with Israeli singer-song writer, Gilad Cahana, within the album "The Walking Man 2". The album was entirely written in English. Ninet performed the songs of the album alongside Cahana. • In 2010, Ninet took part in the original project "30+", led by the musicians Elad Cohen and Sagi Tzoref, where she performed a duet with Israeli singer-song writer, Yali Sobol. • In the annual musical project "Hebrew Labor" of 2008 (new versions of Israeli classics), Ninet recorded Ilan Virtzberg's song to late poet Yona Wallach lyrics, "I Couldn't Do Anything With This". • In memory of Israeli music legend, late Ofra Haza, Ninet recorded, along with Ivri Lider, a pop rock version of Haza's song "This Pain". The duet became a hit in Israel in 2007. • Throughout the years, Ninet was invited to perform in tribute concerts dedicated to several artists, such as Meir Ariel, Inbal Perlmutter, Elliott Smith, etc.